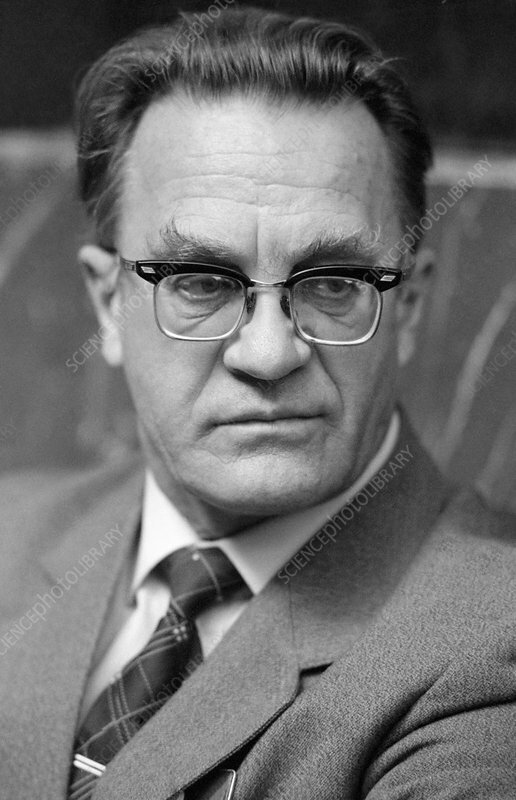 Vlail Petrovich Kaznacheyev (born 1924), Soviet-Russian physiologist, biophysicist, and Director of the Novosibirsk Institute for clinical and experimental medicine. A member of the USSR Academy of Sciences (now the Russian Academy of Sciences), he has spent most of his career studying biophotonics, the idea that cells can communicate using minute quantities of electromagnetic radiation, such as UV light. He maintains that his experiments show that this can transmit the effect of diseases, such as viral infection, between otherwise isolated cell cultures. Photographed in 1983, in Novosibirsk, Soviet Russia.